FROM £13.95 per case. Flat pack Toilet Tissue 2ply white 250 sheets per pack of 36. 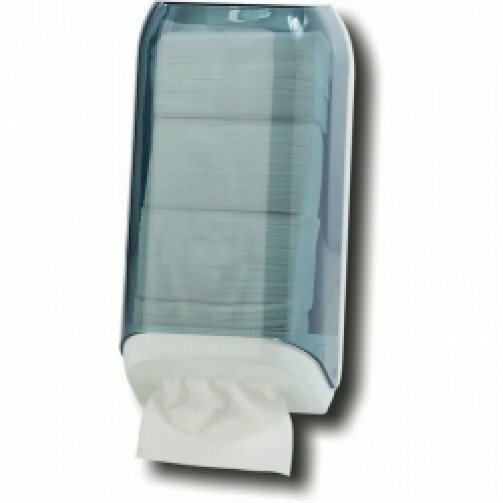 This Transparent bulk pack/toilet tissue dispenser is ideal to use in all commercial washrooms with a large number of visitors such as schools or any other busy environments as it is proven that the use of bulk pack/toilet tissue paper reduces the amount of paper consumption. The transparent top also makes it easy to see when refilling is required. This transparent bulk pack/toilet tissue dispenser can be used with any bulk pack/toilet tissue re-filld such as our PD119 tissues.